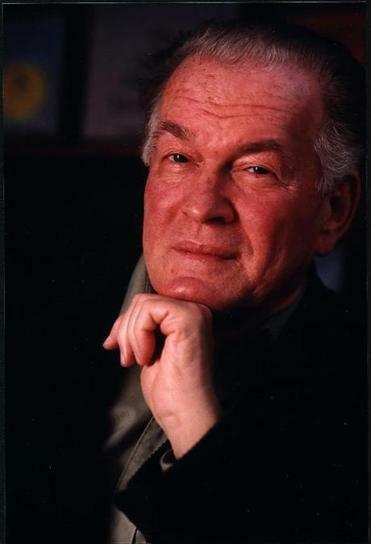 Gene Sharp wrote the book on nonviolent ways to topple dictators – a small manual that has inspired those organizing uprisings from Burma to Bosnia, Egypt, and Iran. “One of my major concerns for many years has been how people could prevent and destroy dictatorships,” he said in “From Dictatorship to Democracy,” which he published in 1993 and initially wrote to provide advice to Burmese dissidents. Now in its fourth edition, the book is slender – only some 90 pages. Considered the go-to guide to nonviolent resistance, it has been translated into more than 30 languages, including Amharic, Arabic, Farsi, Serbian, Tibetan, Ukrainian, and Uzbek. A professor emeritus of political science at the University of Massachusetts Dartmouth, where he taught for nearly two decades, Dr. Sharp founded the Albert Einstein Institution in 1983 to focus “not on pacifism, not on any mahatma nonsense, but on pragmatic nonviolent struggle,” he told the Globe in 2005. From 1983 to 1997, he also was the program director, and then an associate, with the Program on Nonviolent Sanctions at Harvard University’s Center for International Affairs. Over the years, Dr. Sharp wrote nearly 20 books, along with scores of articles and unpublished manuscripts. Much of his work is available through the Albert Einstein Institution’s website. “He is generally considered the father of the whole field of the study of strategic nonviolent action,” Stephen Zunes, a professor of politics and international studies at the University of San Francisco, told The New York Times in 2011. In 2012, Dr. Sharp received the Right Livelihood Award, often called the alternative Nobel Prize. The award, presented annually in Stockholm, praised him “for developing and articulating the core principles and strategies of nonviolent resistance and supporting their practical implementation in conflict areas around the world,” according to the Right Livelihood Award Foundation website. Dr. Sharp was a student at Ohio State University just after World War II when he initially began studying nonviolent ways to oppose tyranny while avoiding war. He made those early inquiries when the devastation of atomic bomb blasts in Japan and the horrors of the Holocaust were fresh, searing images in the world’s consciousness. “It was clear you couldn’t just polish your halo and expect to deal with the evils of the world,” he told the Globe in 1983. Over the years, he held training sessions for activists from places such as Belarus, Burma, Cuba, Estonia, Latvia, Lithuania, and Tibet. His writings and ideas, meanwhile, traveled the world. “From Dictatorship to Democracy” has been studied by activists and protesters in Iran, the Ukraine, and Serbia. Born in North Baltimore, Ohio, Gene Sharp grew up in a number of communities while his father, the Rev. Paul W. Sharp, moved from church to church as a Protestant minister. His mother was the former Eva M. Allgire. Dr. Sharp graduated in 1946 from North High School in Columbus, Ohio, and received a bachelor’s degree in social sciences and a master’s in sociology, both from Ohio State University. While studying there, he participated in lunch-counter sit-ins in Columbus. He moved to New York City after graduating to work on a book about Mahatma Gandhi while earning his keep doing a variety of jobs. During the Korean War, he decided to seek conscientious objector status, only to decline it when it was granted but still refused to go to war. Arrested by the FBI and jailed while awaiting trial, Dr. Sharp wrote to Albert Einstein and asked the physicist to write a forward for his book. A pacifist himself, Einstein agreed, and he lent support to Dr. Sharp’s antiwar stance. “I earnestly admire you for your moral strength and can only hope, although I really do not know, that I would have acted as you did, had I found myself in your situation,” Einstein wrote in 1953. After prison, Dr. Sharp worked as an assistant editor at Peace News, a publication based in London, and then lived in Norway, where he was a research fellow at the Institute for Social Research. To better understand political power, he returned to England and studied at St. Catherine’s College at Oxford University. He graduated in 1968 with a doctorate, writing his dissertation on the politics of nonviolent action. In the late 1960s and early ’70s, he was a lecturer at Brandeis University, Boston University, Harvard, and the Experimental College at Tufts University. The Albert Einstein Institution has operated for years out of Dr. Sharp’s East Boston home, which he bought a half-century ago, and where along with his research he grew orchids. Jamila Raqib, the institution’s executive director, said the board plans to expand the organization. He leaves his brother, Richard of Belmont, Calif. A private service is planned, Raqib said, and a public memorial gathering will be announced. While studying in England, Dr. Sharp realized that dictatorships survive through the obedience of the populations that are ruled. “That was the eureka moment,” he told CNN. Shrinking the support through tactics including civil disobedience, boycotts, and general strikes can have a crippling effect, he concluded.